M. Lucilius Mn.f. M.n. Rufus was one of the moneyers for the year 101 BC. Hes is not otherwise known, but is perhaps the son of Mn. Lucilius M.f. who was senator in 129 BC. Gens Lucilia was a plebeian family at ancient Rome. The most famous of the gens was the poet Gaius Lucilius, who flourished during the latter part of the second century BC. 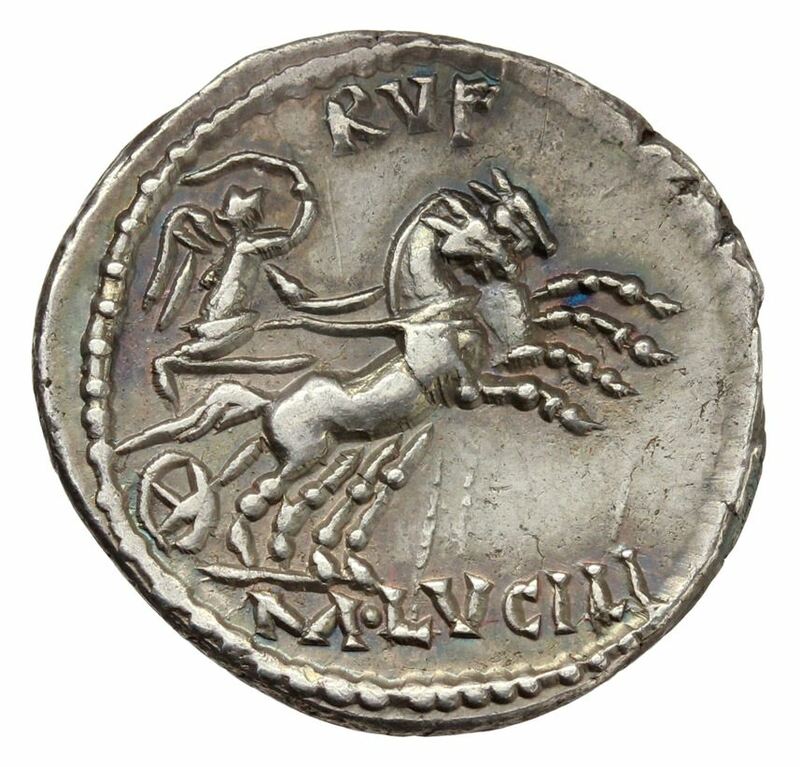 Although many Lucilii appear in Roman history, none of them obtained any of the higher offices of the Roman state. The cognomen Rufus was commonly given to people with red hair.